We are pleased to announce the launch of our new website and our exciting new membership program. 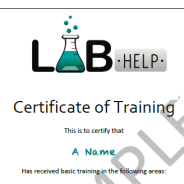 With LABhelp Membership companies can rest assured they have access to experienced analysts whenever they need them. See the full details on our Membership page and join us for “All the benefits, without the extortionate cost.